After water, concrete is the most abundant resource in the world – or to put it another way, the most used man-made material on the planet. Concrete is fundamental in shaping our world. That’s because of its inherent benefits of strength, durability, resilience, safety and affordability to create vital infrastructure – roads and railways, homes, offices and the cites we live in. Concrete is crucial for the transition towards global sustainable development and more generally for the infrastructure to support clean energy development. Concrete also plays a significant role in the energy efficiency of buildings. But what about Cement? Cement and Concrete are intertwined in the minds of many people, but also in actual fact. 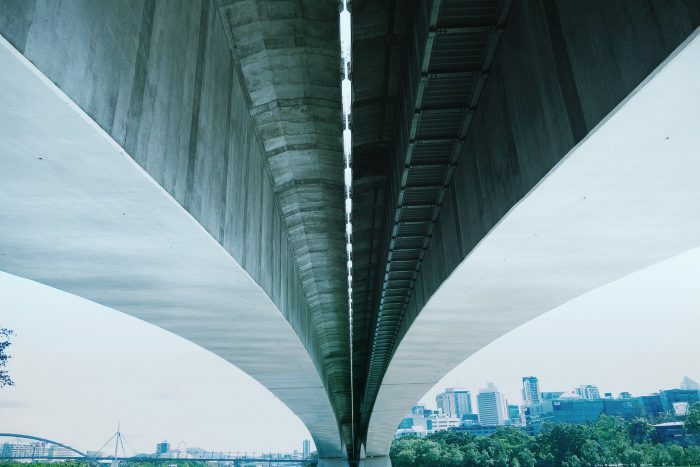 Concrete is the material that we interact with every day – in the structure of our homes, offices and hospitals, supporting our bridges and infrastructure, laid on our roads and pavements. Cement is the vital glue that binds the ingredients of concrete together and makes concrete the truly versatile and beautiful building material that is solving the needs of the world today and the challenges of tomorrow. Cement’s central use is to bind together the ingredients of concrete – sand and aggregates. Cement is a glue, acting as a hydraulic binder, meaning it hardens when water is added. Cement itself is a fine powder that is made by first crushing and then heating limestone or chalk, with a few other natural materials, including clay or shale, added. The ground base materials are heated in a rotating kiln to a temperature of up to 1,450 degree C or as hot as volcano lava. Concrete is a mixture of cement, water and aggregates (e.g. sand and gravel, crushed stone or recycled concrete) and often includes small amounts of admixtures. The exact ratios and mix, and type of aggregate use depends on how the concrete is intended to be used. One of concretes key assets is its versality which means concrete can be used in a variety of ways to solve the many needs that individuals and societies have – shelter, housing, providing clean water and sanitation, transport, business and commerce. Concrete is an extremely strong, durable and resilient material. Cement and Concrete have a long history of use in our world. The Roman Empire accelerated the use of concrete. Some of its most famous buildings still stand today including the Roman Pantheon (which remains the largest unreinforced concrete dome in the world) and the Coliseum. Both of these buildings, built around 2,000 years ago, demonstrate the resilience and durability of concrete. Although the cement that was used was different to today’s cement material – the principle was similar. Today Portland clinker based cement is the most common type of cement in use. Portland cement was first developed in the beginning of the 1800s. All member of the GCCA are Portland clinker based cement producers. Below we outline the very basics of what is involved in the manufacture and production of cement. Our affiliate organisations across the world have many comprehensive descriptions, with an array of infographics, videos and different languages. Step 1: Find a location where limestone is plentiful. Thankfully, much of the earth’s crust has limestone near the surface and means there is a plentiful supply. It also means that cement manufacture is mostly a local industry, produced close to where it is needed. Step 2: Extract the limestone from a designated quarry. Quarries today are managed to rigorous standards and many have detailed plans in place for land use and habitat management to ensure they are returned to support diverse plant and wildlife. Step 3: Crush the limestone rock. Health and safety policies at quarries and indeed cement plants, and right across the production and construction chain are first and foremost in cement companies’ priorities. All GCCA members have rigorous policies in place. Step 4: Add other ingredients to the crushed limestone such as clay or shale – grind and mix together. Cement production is all really about chemistry. Although the process sounds simple the chemistry of the raw materials and the subsequent mix is very carefully monitored and controlled. Step 5: Put the mix into a giant rotating kiln and heat up to 1,450 degree C. Over a period of about 30 minutes a chemical process takes place which releases the C02 from the crushed rocks. Cement producers have been working hard on reducing greenhouse emissions both in the energy that is used to produce cement and looking at ways of reducing the overall emissions. There are many innovations and different methods of working to reduce the overall carbon footprint in cement production and concrete use. Kiln technology has improved significantly in recent years to ensure that the heat produced is maximised and the fuel that heats it is minimised within the process. Also, later down chain, did you know that concrete naturally re-absorbs CO2 from the atmosphere – so with good design, buildings can be an effective carbon store. Step 6: The heating process and the resulting chemical reactions lead to the formation of the material that in the industry is referred to as ‘clinker’. This has the property of binding concrete ingredients together through (what is scientifically referred to as) its hydraulic properties. All GCCA members are clinker producers. Once cooled, the small round clinker forms are ground down again to a fine powder and number of specific ingredients, such as gypsum, are added in small quantities and depending on the required intended application of the cement or how long drying time is required. Cement may also be mixed with other finely ground minerals such as slag, fly ash, limestone or other materials (which mostly come from the by-waste of other industries) to replace part of the clinker, thereby often achieving a significant reduction of the CO2 emissions. Step 7: You now have cement. As a producer you might bag it up for the construction sector and wholesale trade, or transport it in bulk to concrete plants who will mix the cement with aggregates to make concrete. Most cement is transported locally – which avoids unnecessary and long miles of transportation on roads and global shipping.